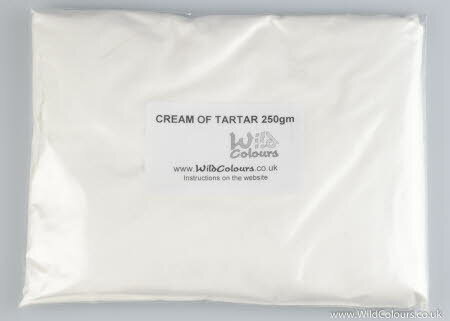 Cream of Tartar 250 gram pack for mordanting wool & silk - SAVE £2.50 over the 50 gram price of Cream of Tartar. Cream of Tartar is weighed and sealed in a polythene bag. The bag is then labelled, placed in a padded envelope and posted to you First Class.